But finally after an AGE of waiting…The Man from Del Monte…he say YES! Yay! lol! ….Then we made an even bigger embarrasment of oursleves 🙂 leaving the store, as I told all the assistants….as we were walking out of this HUGE superstore, that when we leave and go through the exit…we would set the alarm off again, because we had on the way in!…..lol!….so we paid for the paint…drawing everyones attention that the alarm would go off…..and as we walked through the exit!….Guess what! ….And as for the paint! Grrrrr! the colour didn’t turn out to be the one we choose…but it did turn out to be this very very bright turquoise! Eek! 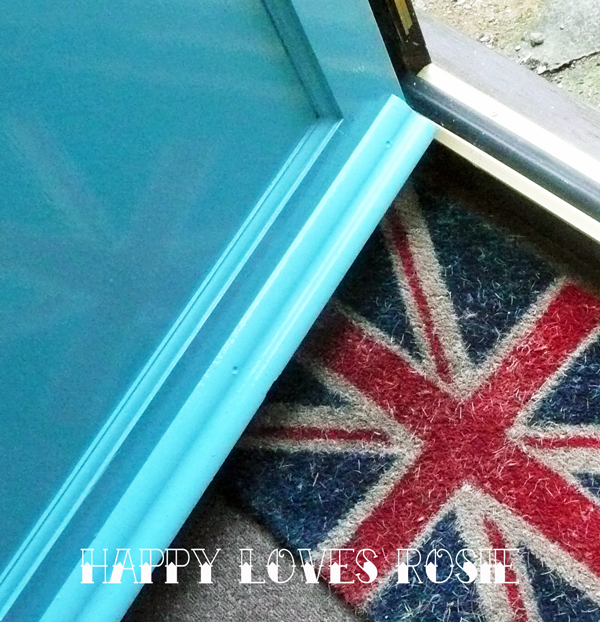 Oh yeah!…The Landlord sent a lovely guy to paint the door for us and he had to wear sunglasses while he was painting it! lol! So when it gets a little warmer, I will paint it a duller colour (unless of course we get used to this one!) and I have also decided to paint the ‘orrible wood stain white…and the gate a blue to match the door….and then I will be a hell of alot happier :)Have you had any painting disasters lately? Previous Post Vintage Tattoo Done! OMG!! 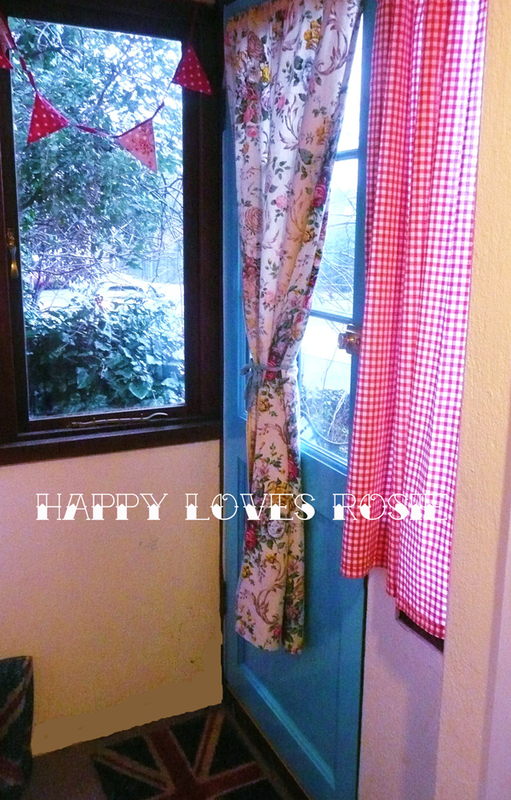 Love the door, LOVE the blog, and LOVE the button I just added to my blog!! Sounds like a naughty yet fun adventure you have there. I like the finished color though. Love all hues under blue tones. Hi! I discovered your blog from one of your followers in the Philippines. I love your blog and I am now one of your avid followers. I love the color of the door. I actually love color blue :)I am looking forward for more posts from you.Have a great day! Keep it Happy. It's you! It'll probably fade a bit anyhow. I love it!!! 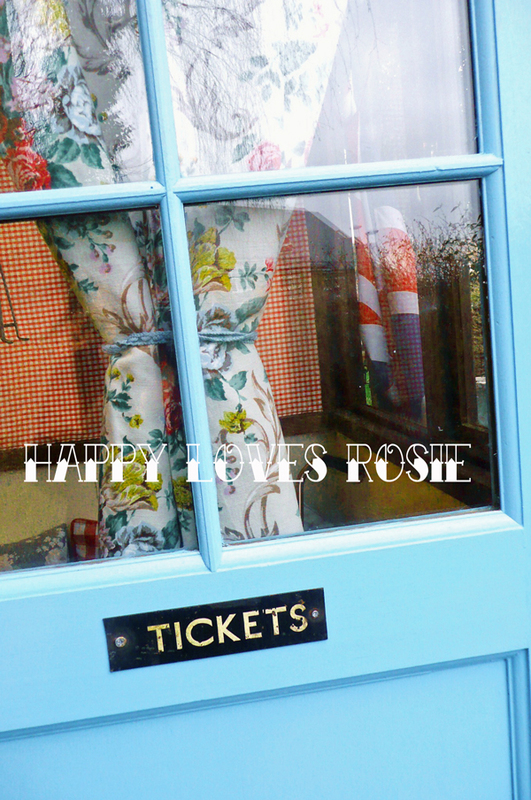 Oh how I love your blog…..sooo cheery, makes me happy! I just love your Max…..we have an Izzy! Westies are the Besties! So happy I happened upon your blog! 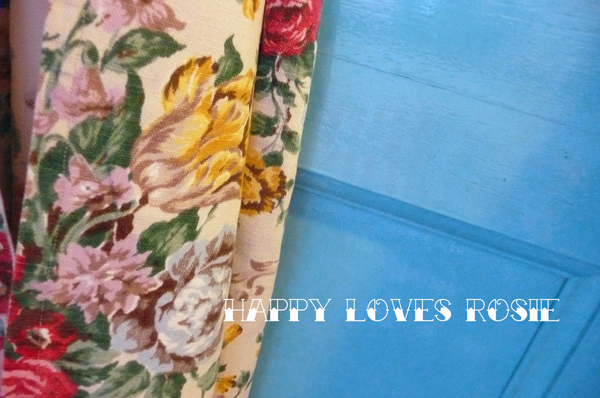 Although the right "Duck Egg" is very hard to find,I LOVE this shade of blue,it is very "Happy" and retro. I agree with the other Happy Chicks please don`t change it? hi happy, I agree with the others – the colour is great!!! thanks for sharing pics and story. I'm a follower of your blog – maybe you'd like to follow me back? 🙂 cheers Trish. I was trying for a dusty pink in our bedroom and it turned out Pepto-Bismol pink. Ugh. We lived with for three years and finally repainted. I love the color. I am sure I will love the next color too 'cause I love everything you do! Don't change it! It's really lovely. I need to get some paint mixed soon, wondering what on earth I'll end up with now. Actually something along the lines of your turquoise is what I'm after, maybe I should ask for duck egg. Its still a lovely colour, its so shabby happy! Oh I adore this door color leave it. Absolutely love the door, I wouldn't change it for the world. I went shopping with dh the other day & every shop we went into he set off the alarms. He took everything out of his pockets & handed it all around the family to work out what it was. Finally it was his new credit card holder. It had one of those metallic security things in one of the pockets. Had us laughing as he beeped his way around the shopping cenre.